Anti-Reflective Coatings: An anti-reflective coating on lenses reduces glare the patient sees and reflections others see making the lenses appear “invisible”. It also reduces halos and ghost images, especially while driving at night. People who benefit from this feature are computer users, patients with very high prescriptions, geriatric patients who have early cataracts, and patients that do public speaking or anyone who desires a better cosmetic appearance . High Index Plastic Material: This lens material is lighter and thinner than traditional plastic lenses. Patients with medium to high-powered prescriptions will prefer these lenses so that their glasses are more attractive and comfortable. Photochromic: Photochromic lenses block UV-rays and automatically darken when exposed to UV (or sun) light. This is a great option for patients, adults or children, who only want one pair of glasses for both indoors and outdoors. Photochromic lenses are recommended for those with light sensitivity and those who enjoy outdoor activities. Since car windows block most UV rays, these lenses will not darken as much as sunglasses inside a car. Polarized: Polarized lenses eliminate all types of glare, enhance contrast, and provide maximum UV protection. This is different from the tinted lenses in standard sunglasses which only darken the lens. People who do a lot of driving in the sun and outdoor activities such as boating, fishing or golfing would benefit from the enhancement polarization brings to standard sunglasses. Polycarbonate/Trivex: This type of lens material is very impact-resistant, scratch-resistant, thin and light compared to standard plastic lenses. It is always recommended for children under age 18, sport enthusiasts, and for safety eyewear. Progressive: Progressive lenses are prescribed for patients that need correction for distance, intermediate, and near vision simultaneously. 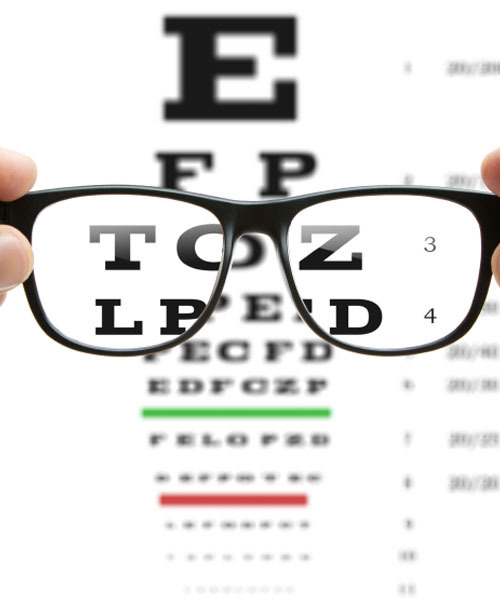 They are often referred to as “invisible” or “no-line” bifocals. Because of their improved cosmetics, most patients over age 40 will choose these over the traditional lined bifocal. We offer the latest technology in progressive lenses for minimal adaptation times.